This will be in 4.5.3 release next week. 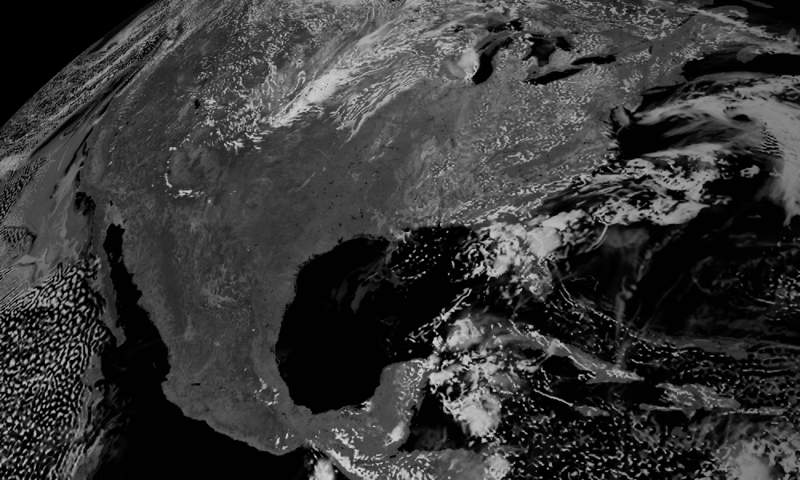 I've been trying out this support for geostationary projection, and I've had success with GOES data (which I specify in the grid variable with sweep_angle_axis = "x"). But I haven't had success with Himawari 8 data (sweep_angle_axis = "y"). It looks like the pixel locations are just a bit off when computed by the CDM grid mapped projection code. I haven't looked at the code, but do you know if the sweep angle axis functionality is implemented? 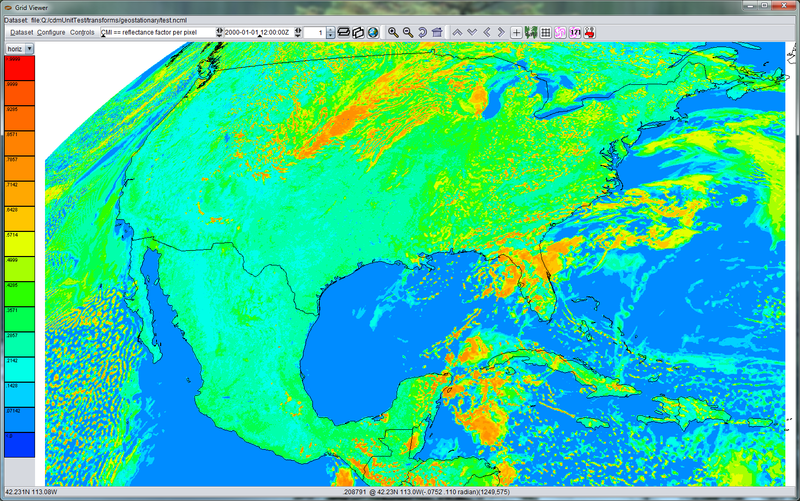 It does't seem to matter which axis I specify in my Himawari data, I get the same issue. If it's needed, I put a test dataset at the URL. It contains mostly empty data variables, except the l2p_flags data which has a land mask as one of the flags. That's how I've been checking accuracy, by comparing against know coastline data. I made a PNG file in the same directory to give you an idea of what I'm seeing when I overlay coastline data, it's over New Zealand and I see an offset of about 5 pixels from the land mask data. It seems the issues in the projection occur diagonally far away from the satellite sub-point lat and lon.